Consider the flowering height of plants. 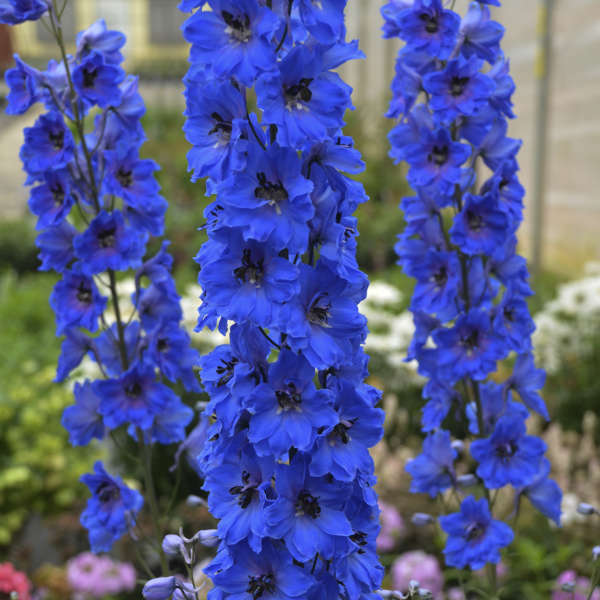 Plant taller varieties in the back - shorter in the front. Plant in groups. Are you planting one of each variety? 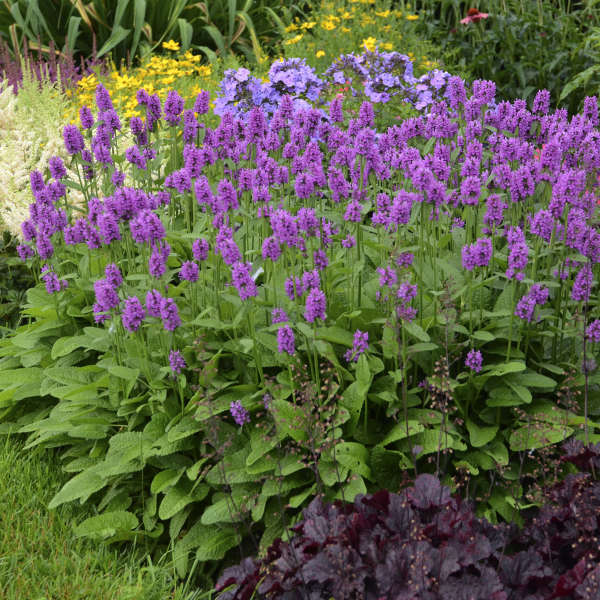 In a larger garden this can result in a 'crazy quilt' effect. Create greater impact by planting 3, 5 or even 7 of one variety. Repeat plant material & colour. Repetition creates continuity and ties the garden together. Consider the shape of plants. The garden sometimes tends to have a consistently horizontal look. Break this up by planting tall spikey varieties to provide vertical presence. Consider the shape of flowers. Use a variety of floral shapes, that is: spikes, daisies and ball shaped plants. Use bold colours. Certainly pastels are nice, but don't be afraid of using bold contrasting combinations. Experiment. Ornamental grasses bring loads of excitement to your garden -- particularly the mid-sized to tall varieties. These grasses add important vertical architecture. They also bring movement, sound and a unique texture. Most ornamental grasses can also be enjoyed in the fall and winter. 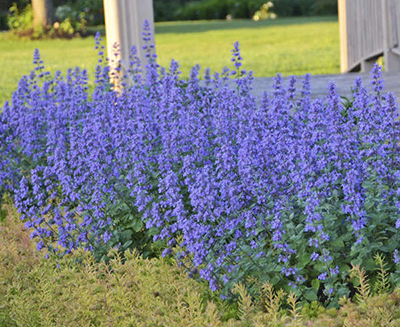 Use colourful foliage plants to break-up all that green in the garden. 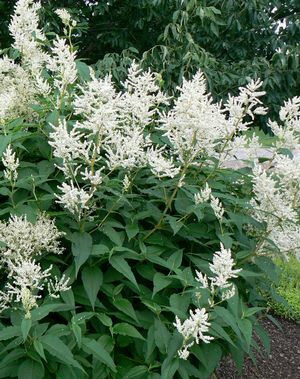 There are lots of great dark-leaved and variegated plants that will add beauty to your garden even when nothing is in bloom. What makes my garden particularly interesting is the creatures that have come to inhabit it - butterflies, hummingbirds, song birds, frogs and toads, to mention just a few. 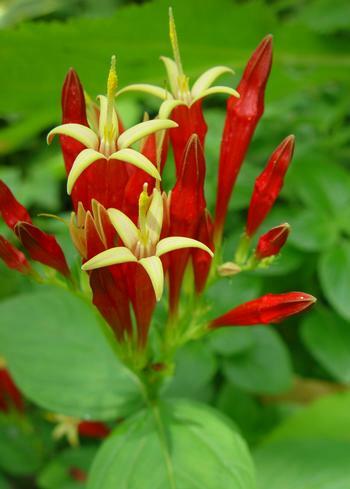 Select plant material that will attract these beautiful creatures. Add a water feature to your garden. A pond is lovely, but even a smaller decorative bowl with water will attract attention. Consider a bird bath. Statuary, prominent rocks, obelisks, etc., can also add interest and beauty to your garden. We have an awesome selection of Clematis this season, so I thought we'd devote this newsletter to the Queen of Vines. 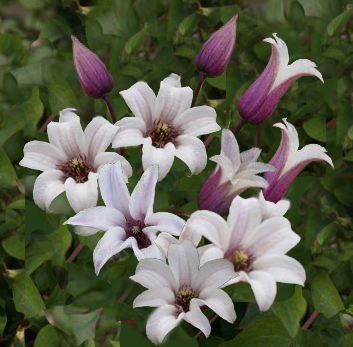 Clematis are generally loved for their compact, well-behaved form and fabulous showy flowers. This is a very versatile vine that can be grown over arbours, pergolas, up a trellis, or twining through shrubs or small trees. There are now many smaller, dwarf forms of clematis which are ideal for containers and can be used to adorn your patio or balcony. Clematis as a group are quite hardy and can be grown to Zone 4. 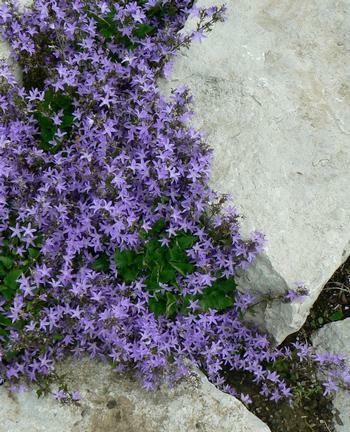 However, some forms are even hardier and will survive in colder climates. Clematis are no more difficult to grow than most perennials. The secret to growing these vines well is to use fertile, well-drained soil. Add compost or well-rotted manure to the soil. Clematis expend a lot of energy producing big blooms, and are heavy feeders. Poor soil equals poor performance. Water deeply, when required, at the soil level. No overhead sprinklers. When planting your Clematis for the first time, prune them back to about 30 cm (12") from the ground to encourage new bushy growth. 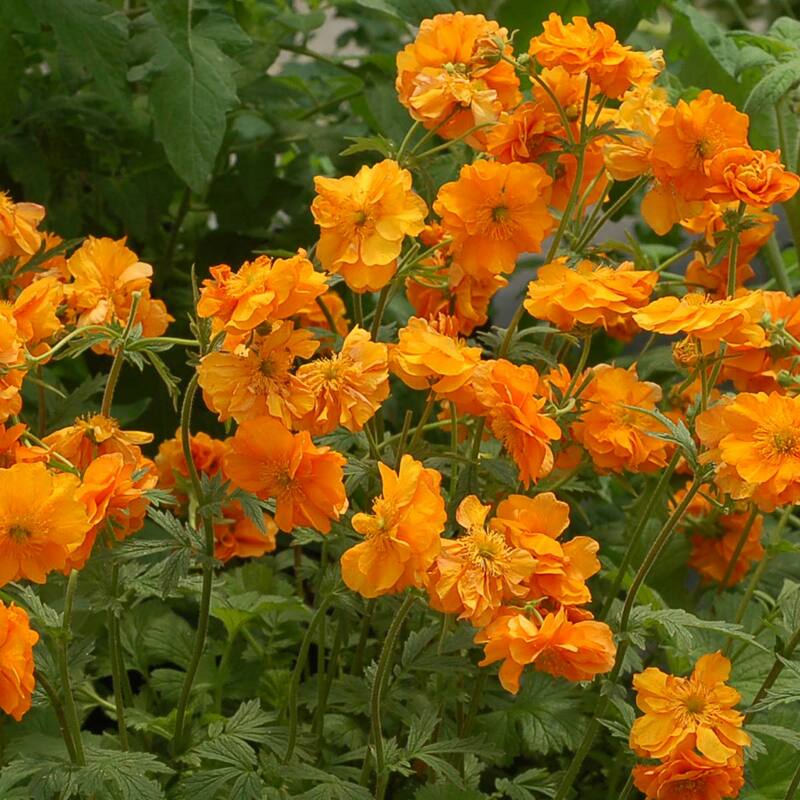 Most varieties will do well in sun to partial shade. 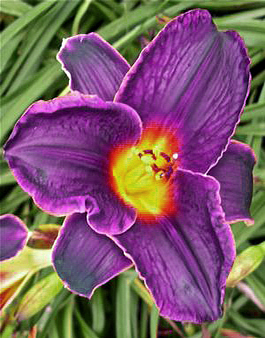 Do keep in mind that the colour of blooms, particularly the "blues" and "reds", can be affected by the amount of sunlight. The hot afternoon sun can be very intense and it does impact our plants. 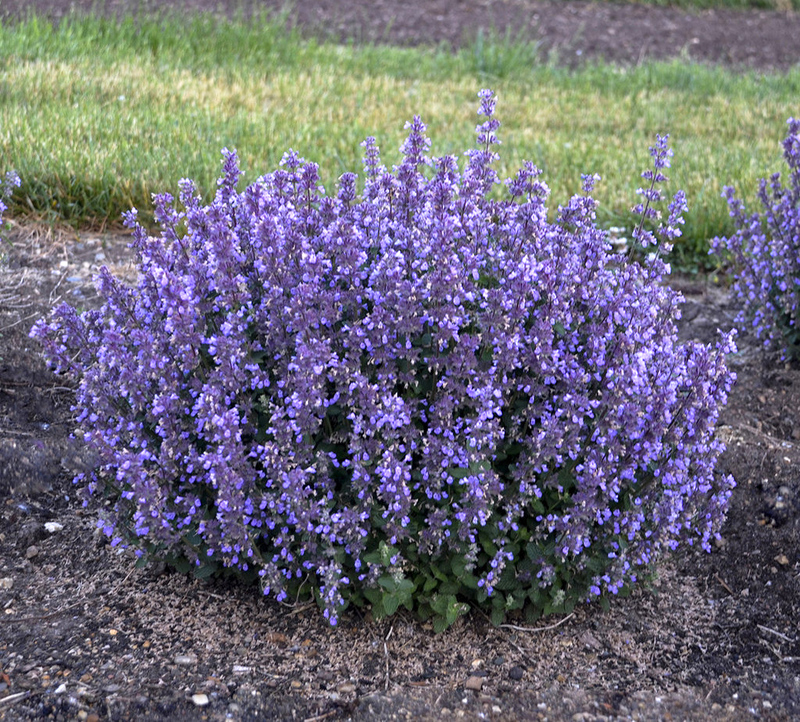 Soil ph can also affect the colour of blooms. Do mulch your Clematis using compost, well-rotted manure, or shredded wood chips. Do not overplant your clematis with another plant 'to keep the roots cool'. This is a myth that has persisted for decades. Plants near or on top of the Clematis are just more competition for the vine - competition for nutrients and moisture. As with all plants, Clematis need their own space. Also, do not cover the Clematis roots with rocks or patio stones. These 'mulches' prevent moisture from reaching the roots, and may also cause the soil to heat up excessively if situated in full sun. Just mulch your Clematis as you would the rest of your garden, in order to protect the soil, retain moisture, keep down weeds and eventually add nutrients to the soil as the mulch breaks down. When to prune your Clematis sometimes seems a bit of a mystery. Traditional pruning information is provided for all the varieties that we sell. Generally, early flowering Clematis just need a bit of pruning after they bloom. Late flowering Clematis are best pruned hard to about 45-60 cm (18-24") from the ground in early spring. If your vine is not blooming, change your method of pruning, and try some Clematis food. The modern pruning method (for busy gardeners) is to just cut all the Clematis back to about 45 cm (18") from the ground in the spring. I grow many different varieties of Clematis, and have abandoned the precise pruning rules years ago. I found cutting the vines back every spring has resulted in lush, bushy growth, and masses of blooms.